Learning any language requires self-practice, and Chinese is no exception. 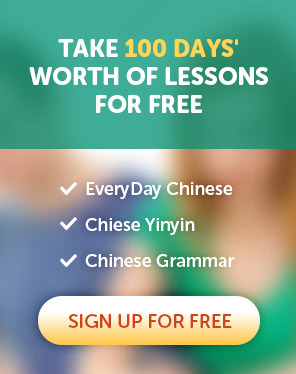 It doesn't matter if you have no chance to practice Chinese with others. Today let's learn 50 verb words and phrases of daily routines together. After learning these common words and phrases, you can tell yourself about your day, just like writing a diary, to achieve the purpose of practicing. At the end of this video, I'll tell you my day today as an example. I get up at six o'clock every morning. The first thing I do after getting up is to go to the toilet. We should form a good habit of tooth brushing every day. It's getting cold, and I begin to wash my face with warm water. After washing my face, I began to comb my hair. A lot of girls like to make up to make themselves look more beautiful. My husband shaves with a razor every morning. There are a lot of benefits of drinking water. My mother goes to buy groceries in the supermarket every morning. Cooking is not a simple matter. I have breakfast at home every day. After breakfast, I began to get dressed. I forgot to take my cell phone when I left home. The power cut out and I have to go downstairs to buy candles. My son walk to school every day. I was able to ride a bike when I was eight years old. I go to my friend's house by bus. I go to the bookshop by taking the subway. I didn't drive my car because it's broken. I work in Chinatown Chinese company. You should listen carefully in class. I have an appointment with my colleagues to have dinner after work. The students left the classroom after class. We work from 9a.m. to 5p.m. Many foreigners begin to learn Chinese. At noon, I have lunch in a restaurant near my company. He resumed his work after a short rest. I have dinner with my family every day. I prefer washing dishes to cooking. Don't forget to clean the table after the meal. I sweep and mop the floor in my house every day. Who throws away the rubbish in your family? Doing sports can keep you healthy and fit. My elder brother goes to play basketball after work every day. My younger brother goes to play football every weekend. I keep running for half an hour every day. The children are singing in the classroom. She plays the piano for an hour every day. The boy is reading a book carefully at the desk. That girl is writing while listening to music. The students have to do their homework after school. He telephoned and said he couldn't attend the meeting. She chatted to her boyfriend on the phone every night. It's a convenient way to learn by finding information on the Internet. Many people like watching TV after dinner. My father likes taking cold shower. Turn your house lights off when you leave home. It's late, and you should go to bed now.